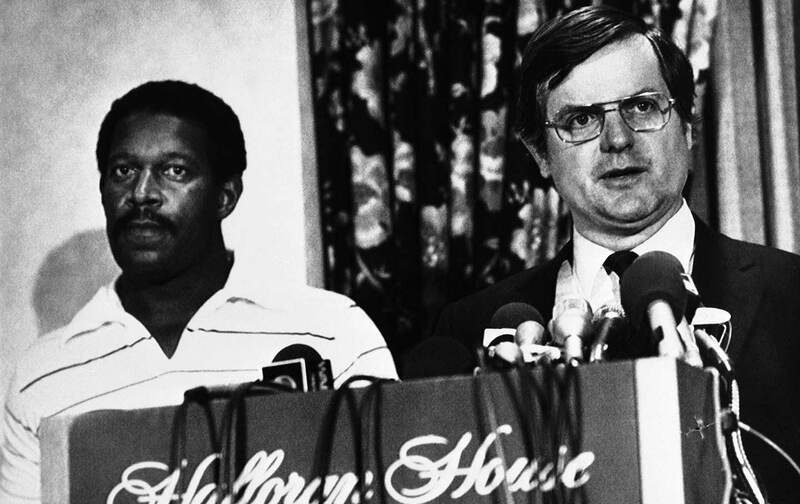 After Garvey left the NFLPA, he never stopped fighting. In fact, he was just getting warmed up. Garvey ran for Wisconsin senator and governor on a progressive platform and founded Fighting Bob Fest in Madison (named after legendary progressive Wisconsin Senator Bob La Follette), the largest annual progressive political festival in the United States. When Bernie Sanders campaigned in Wisconsin last year, he recognized Ed Garvey from the stage as the person who had kept the politics of struggle alive, no matter the obstacles put forward by the Koch brothers, Paul Ryan, Scott Walker, and the forces who have focused on turning Wisconsin into a dystopic, neoliberal laboratory. But Garvey’s real work was at the grassroots as an attorney and an activist. Ruth Conniff, editor-in-chief of The Progressive magazine, got to know Ed Garvey “spending many happy hours tooling around in a car with him and John Nichols, with Ed telling war stories and cracking us up.” She said, “Ed Garvey was a fearless, joyful warrior for the little guy. His sense of justice and his sense of humor were a light to us all and we will miss him terribly.” We should all be so lucky to have someone speak such a sentiment after we pass. Ed Garvey belongs in the Pro Football Hall of Fame, but like Marvin Miller—shut out of baseball’s Hall of Fame—that day will almost certainly never come to pass. But Garvey leaves a much different, more powerful legacy than a bust in Canton, Ohio, could ever convey.